Viks casino was founded back in 2015, with their platform having gained a good reputation within the industry thanks to their fast payouts and promotions. 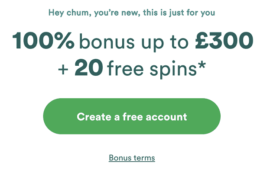 As well as this, Viks entice new customers into registering with them by offering a generous welcome bonus, which allows customers to claim a 100% matched deposit up to a massive £1,000, as well as 50 free spins. For those interested in this promotion from Viks, let’s take a closer look both how to claim it and the terms and conditions surrounding it. Available to new customers making an opening deposit of £25 or more. 100% matched opening deposit, up to a maximum of £1,000. 50 free spins on Book of Dead – 25 mobile & 25 desktop. Bonus money must be wagered x30 times before withdrawals can be made. Register a new account at Viks via desktop or mobile. Make an opening deposit of at least £25 using the promo code “W1000UK”. Viks will match all opening deposits, up to a maximum of £1,000. Earn 50 free spins to be used on Book of Dead game, 25 via mobile and 25 via desktop. 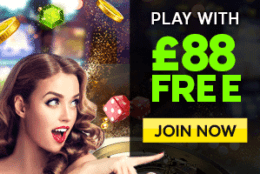 The welcome offer from Viks is something relatively familiar to those in the online wagering business, with the casino providing the chance to earn both bonus funds and free spins. This offer is only available to New players making an Initial Deposit of £25 or more. Players need to use the stated bonus code whilst making a qualifying deposit. 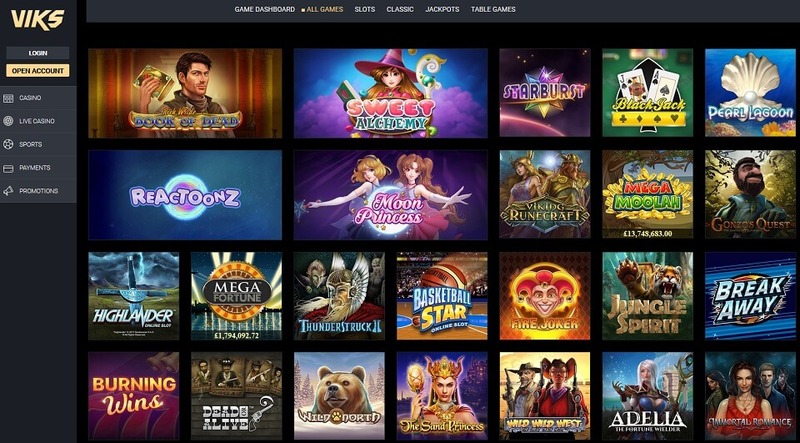 Players depositing via the following are not eligible for the Casino Welcome Offer: Skrill & Neteller. Maximum winnings from wagers made with the bonus funds is twice (x2) the amount of the bonus awarded. 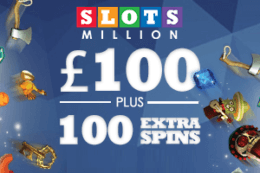 This means that if a player receives a £500 bonus, the maximum that can be won from said bonus is £1000. Before the bonus money is converted into money that can be withdrawn, the bonus money and deposit money must be turned over 30 times in the Casino (minimum wagering requirements) before the player can request a withdrawal of bonus funds and winnings derived from bonus funds from their VIKS.com account; unless otherwise stated on the specific promotional details or rules. 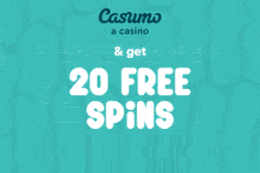 Bonus Spins are worth £0,10 per spin. 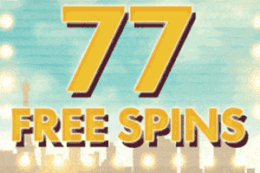 Free Spin winnings are subject to wagering requirement of 35 times. 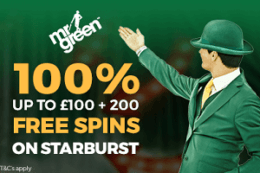 100% matched deposit up to £1,000! Caters for customers with varying budgets and objectives. 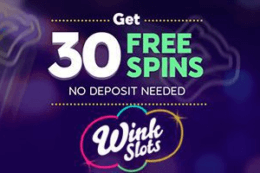 Free spins allow new users to gain an understanding of how things work at Viks. Bonus funds must be wagered x30 before becoming real money. The welcome offer from Viks is undoubtedly one of the most generous promotions available to new customers, with the fact that customers can sit with an opening balance of up to £2,000 making their platform extremely attractive immediately. Although wagering requirements are understandably relatively strict, this offer still provides plenty of chances to come out on top in the end. Is a promo code required at Viks? Yes, the promo code “W1000UK” must be used when placing your opening deposit in order to qualify for your bonus. Are there any wagering requirements surrounding this offer? Yes, bonus funds must be wagered at least 30 times before withdrawals, while earnings from free spins must be wagered x35.